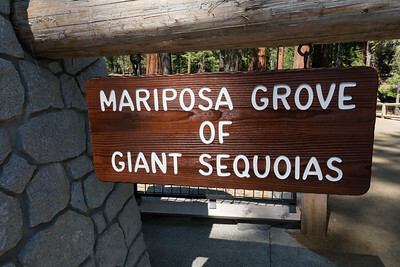 Mariposa Grove of Giant Sequoias, Yosemite National Park. 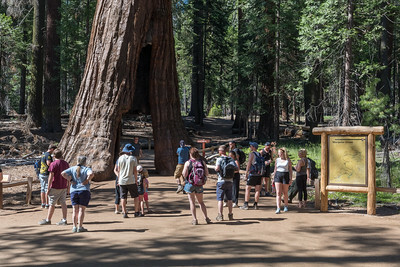 Tourists gawk at an ancient tree in Mariposa Grove of Giant Sequoias, Yosemite National Park. 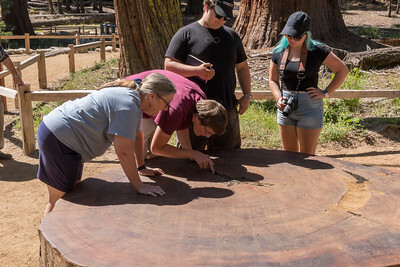 Pam and the kids examine a slice from an ancient sequoia tree in the Mariposa Grove of Giant Sequoias, Yosemite National Park. 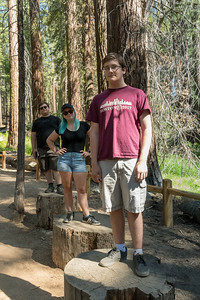 John, Mara, Andy on stumps in Mariposa Grove of Giant Sequoias, Yosemite National Park. 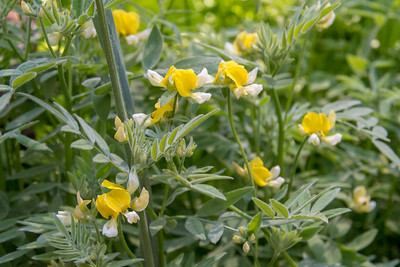 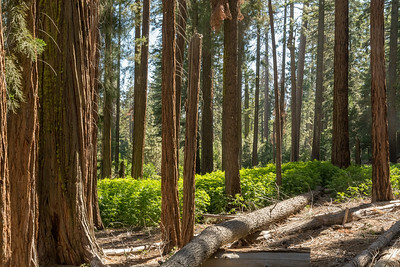 Wildflowers in the Mariposa Grove of Giant Sequoias, Yosemite National Park. 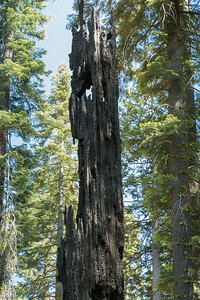 Fire is a natural part of life in the Mariposa Grove of Giant Sequoias, Yosemite National Park. 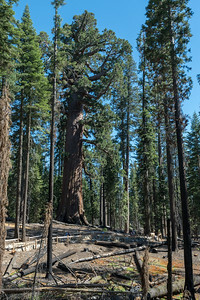 A sequoia known as "the grizzly giant" - notice the people along the fence - at the Mariposa Grove of Giant Sequoias, Yosemite National Park. 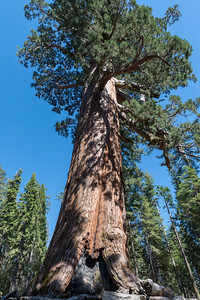 The "Grizzly Giant" in Mariposa Grove of Giant Sequoias, Yosemite National Park. 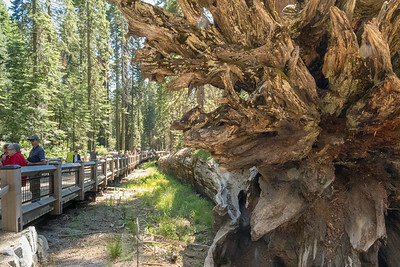 The California Tunnel Tree in Mariposa Grove of Giant Sequoias, Yosemite National Park. 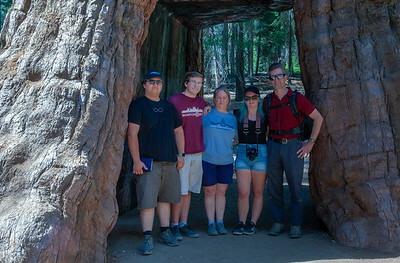 Family photo inside the California Tunnel Tree - Mariposa Grove of Giant Sequoias, Yosemite National Park. 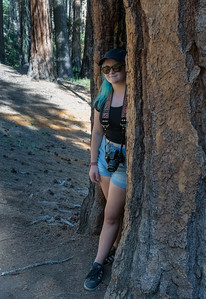 Mara ducks inside a Giant Sequoia - Mariposa Grove of Giant Sequoias, Yosemite National Park. 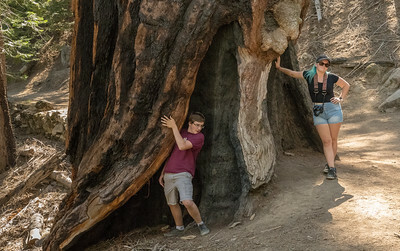 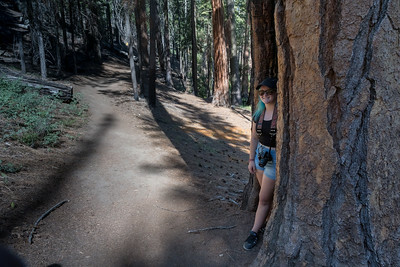 Andy, Mara explore the Mariposa Grove of Giant Sequoias, Yosemite National Park. 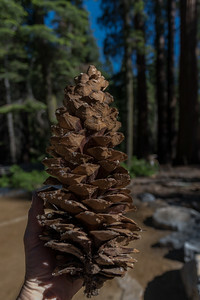 Cone from a Sugar Pine - Mariposa Grove of Giant Sequoias, Yosemite National Park. 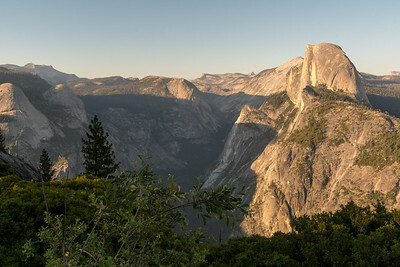 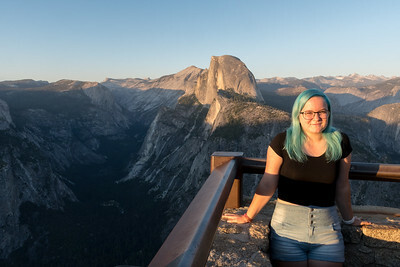 Halfdome and Yosemite Valley from Glacier Point. 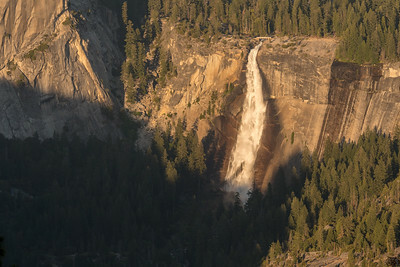 Nevada Falls from Glacier Point, Yosemite National Park. 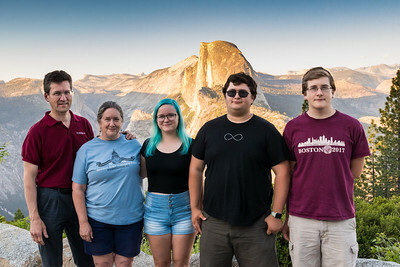 Family photo at Glacier Point, Yosemite National Park. 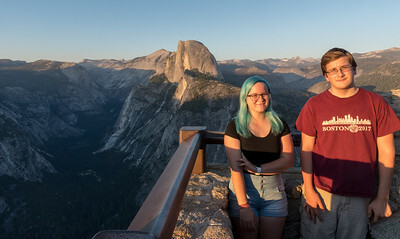 Mara overlook Halfdome and Yosemite Valley from Glacier Point. 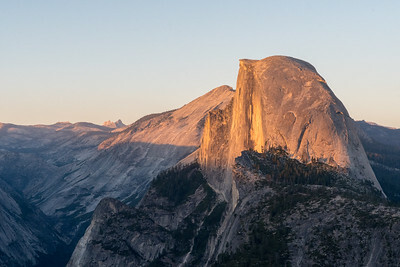 Halfdome from Glacier Point, Yosemite National Park. 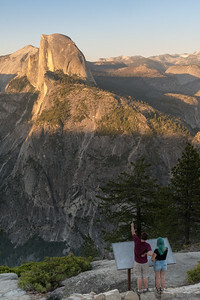 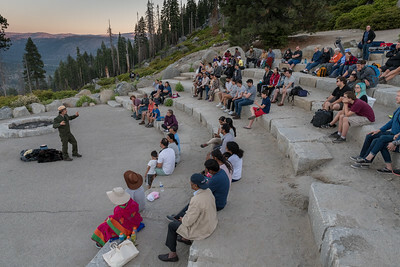 Kids listen to the ranger's talk in the amphitheatre at Glacier Point, Yosemite National Park. 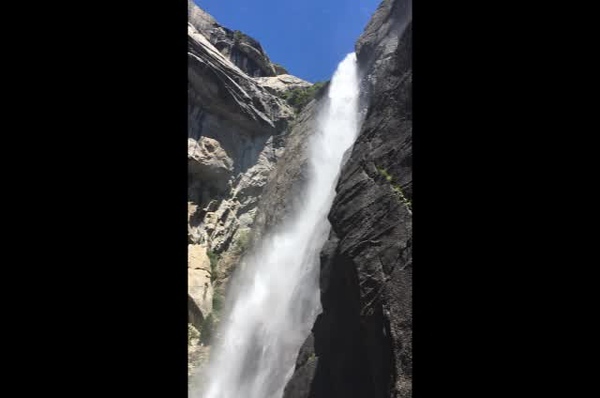 Upper and Lower Yosemite Falls. 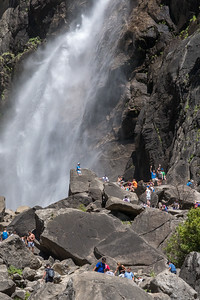 Lower Yosemite Falls; David, Mara, Andy look tiny to the right of the base of the falls. 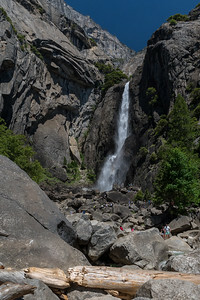 Lower Yosemite Falls, with Andy, Mara, David on the high rock at right. 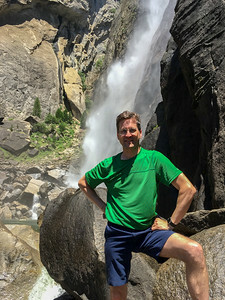 David at Lower Yosemite Falls. 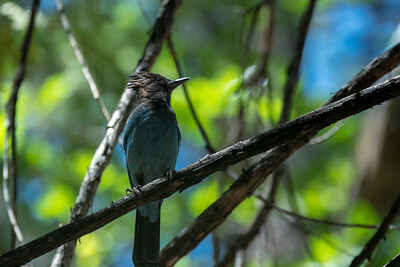 Steller's Jay on the Yosemite Falls trail. 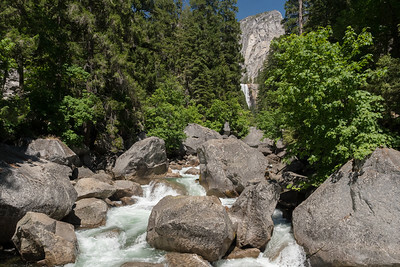 Merced River along the trail to Vernal Falls; Illilouette Falls at the top of the distant gorge; Yosemite National Park. 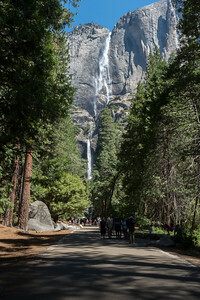 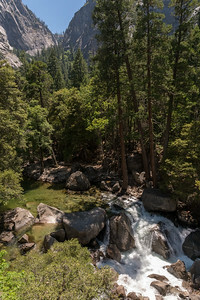 First peek at Vernal Falls, from the footbridge on John Muir trail; Yosemite.